No matter what age you are, this beautifully written and magical tale reminds us that anything is truly possible. 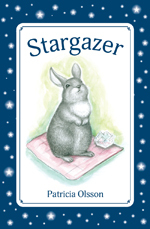 Stargazer captures the heart and imagination as it recounts the life-changing adventure of a fluffy yet surprising intergalactic hero! Stargazer paperback and ebook has just been released and is available now for order here. Have you ever sat and stared at the stars?